A Norwich-based social enterprise which aims to prevent youth homelessness in the region has secured £40,000 to help develop its new digital inclusion programme. Your Own Place (YOP) was awarded the funding following a UK-wide call for applications. The money comes from the Carnegie UK Trust’s #NotWithoutMe initiative, which supports the growth of new and engaging digital inclusion projects. Your Own Place will now use the funds to help to develop the digital skills, knowledge and confidence of vulnerable young people at risk of homelessness. Your Own Place will re-visit their existing Tenancy & Independent Living Skills (TILS) modules, which cover topics such as budgeting, cooking and self-care, to include digital skills elements in all them. In addition, Your Own Place will be designing new modules, including a specific digital skills unit, as part of an enhanced TILS+ modular package. Your Own Place will also work with young people to develop a bespoke resource where young people can rate and share the different websites and apps that they use. 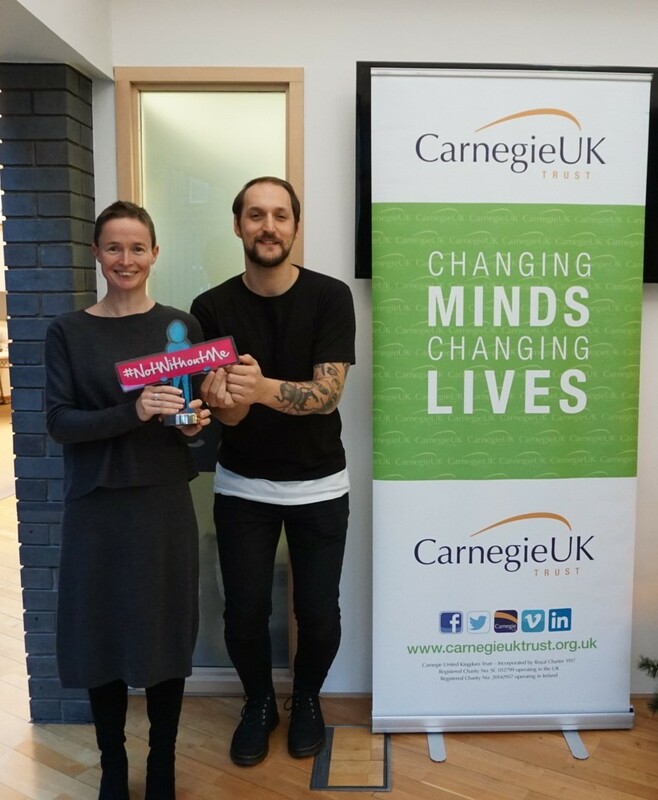 Your Own Place, along with five other UK initiatives, were originally awarded £3,000 as part of Carnegie UK Trust’s #NotWithoutMe Accelerator programme which was announced in summer 2018. This enabled the enterprise to gain valuable programme development support from industry experts, and helped them to design and refine their digital inclusion project idea. The enterprise was then awarded the £40,000 funding following a competitive pitch process. Rebecca White, Chief Executive at Your Own Place, said: “We are absolutely thrilled to have been chosen by the Carnegie UK Trust to be given the #NotWithoutMe funding. Our passion for this work was only invigorated through the Accelerator Programme we completed in 2018, allowing us to refine our successful digital inclusion programme idea. The funding will not just enhance the impact we have on young people’s lives through our digitally enhanced Tenancy & Independent Living Skills Plus (TILS+) programme, but enable Your Own Place to develop as a sustainable social enterprise that makes a difference to more young lives”. Martyn Evans, Chief Executive at the Carnegie UK Trust added: “There are many assumptions made about young people which we know not to be true, particularly with regards to digital. There is an expectation that all young people are highly digital literate, but many young people, particularly those experiencing increased vulnerabilities, do not have the appropriate levels of access to technology, skills or confidence to thrive online and make the most of the opportunities the internet has to offer. The #NotWithoutMe programme has been running since 2015 and was established to challenge digital exclusion for vulnerable young people and advocate for further digital support for young people across the UK and Ireland. Information on the participating organisations in the #NotWithoutMe Accelerator can be found here. For more information contact Kirsty Anderson or Nicole Anderson at [email protected] or 0131 226 2363.